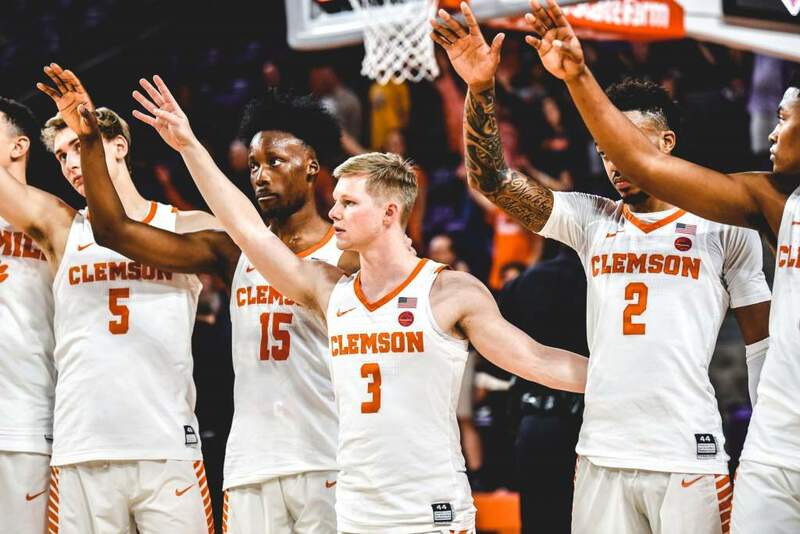 CLEMSON, S.C. – Like a hazy vision in a crystal basketball, Andrius Jurkunas sees his past and his future blending into this season. Jurkunas, a forward, was recruited by then coach-Rick Barnes. His class included guard Terrell McIntyre and forwards Tom Wideman and Harold Jamison, a group that went on to three NCAA appearances and last year’s runner-up finish in the NIT. Their 79 victories in four seasons rank second in Clemson history and their other achievements, like 1997’s 15-1 start, will be remembered for some time. But a knee injury slowed Jurkunas’ development and playing time. Now, Clemson’s old man – “That’s what they call me, the old man,” Jurkunas laughs – will try and start a new group on a successful path. Coach Larry Shyatt, a former Tigers assistant now in his second season at the helm, said he knew when took the job in 1998 that he would be losing the players he and Barnes helped recruit to restore the school’s basketball reputation. He also knew that Jurkunas, along with junior center Adam Allenspach and sophomore guard Will Solomon, would have to usher the newcomers through any rough periods. “Those individuals have to become leaders, they need to make plays,” Shyatt said. Though there will be a growing stage to go through this season, Shyatt says the Tigers have laid a foundation the past five years with five postseason appearances. The Tigers opened last year 11-1 and were ranked No. 14. But they were 5-13 the rest of the season and only 5-11 in the Atlantic Coast Conference. Both Shyatt and Jurkunas say last year’s NIT run was invaluable for the returnees after they missed a fourth-straight NCAA bid. They quickly moved through the NIT field and defeated a strong Xavier club, 79-76, to reach the finals where the championship dream ended with a 61-60 loss to California at Madison Square Garden.